ISRAEL CHIDES THE UN’S LACK OF INTEREST IN CONDEMNING PALESTINIAN ROCKETS SLAMMING INTO ISRAEL…….. – The Tundra Tabloids……. 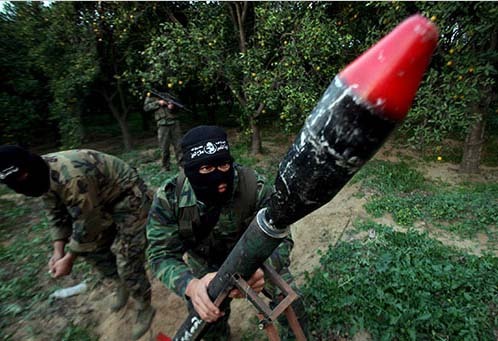 ISRAEL CHIDES THE UN’S LACK OF INTEREST IN CONDEMNING PALESTINIAN ROCKETS SLAMMING INTO ISRAEL…….. The Palis are the UN’s war proxy against the Jewish state. The Tundra Tabloids keeps a daily tab on the number of these war crimes rockets being launched against Israel’s civilians. The UN keeps its yap slammed shut about these outrages, yet the moment Israel seeks to defend itself they’re banging the pots and pans and shouting foul. NOTE: Do you see why folks, the utterances by the UN, especially in the General Assembly, and the resolutions they pass, aren’t worth the paper they’re written on? WASHINGTON – Israel’s Ambassador to the UN Ron Prosor sent a stern letter to UN Secretary-General Ban Ki-moon expressing outrage over the UN’s failure to condemn the firing of rockets from the Gaza Strip at Israel. In the brief letter, Prosor wrote: “Since I last wrote to you ten days ago, ten more rockets have been fired from the Gaza Strip into Israeli communities. “Ten days. Ten rockets. Not one word of condemnation from the Security Council. Next Post Next Post EGYPTIAN MP URGES ARAB STATES TO BREAK TIES WITH US OVER KORAN-B-Q……..
Well Israel cannot expect anything from that cesspool called the UN. What did they expect?